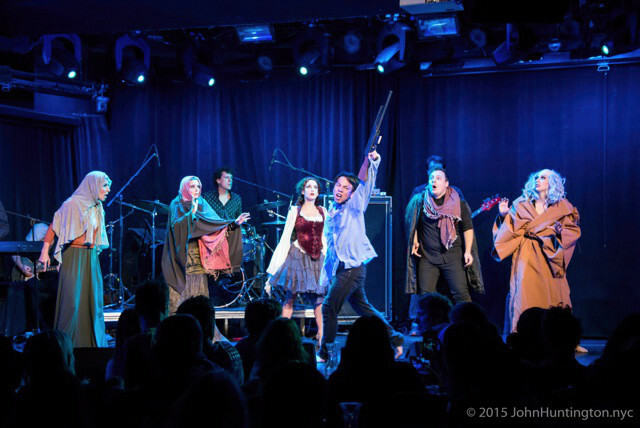 In their second major collaboration, Angela Hariell’s dance company, The Love Show, and Corn Mo’s band, .357 Lover, created “BOOMSTICK BALLET: A Bruce Campbell Dance Opera in 3 Acts". In the true pioneering indie style of the Sam Raimi originals, the "Evil Dead II" and "Army of Darkness” acts feature a vast cast of characters played by a few versatile performers, and impressive production values on a shoestring budget. The "Bubba Ho-Tep” act stays loyal to the vision of Don Coscarelli's film, delivering sincere messages about ageism and both the frailty and the resilience of the human condition, with a healthy dose of action and pure goofy comedy. 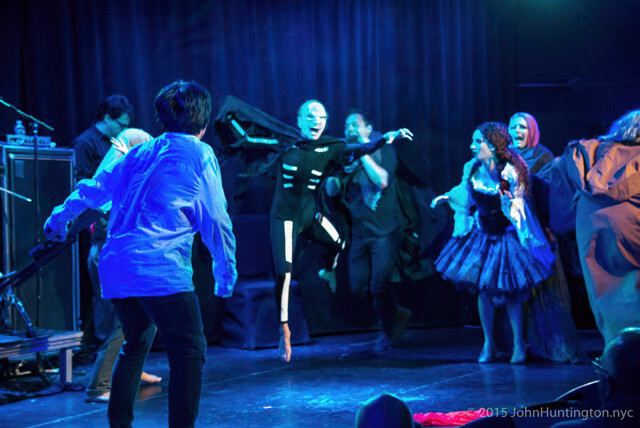 The production premiered at (le) poisson rouge on Saturday, October 10, 2015, during New York Comic Con, to an enthusiastic crowd of both seasoned Campbell aficionados and eager newbies. Due to popular demand, it is slated to return on October 6, 7, and 8, 2016 at Theater for the New City. Put your sawed-off severed hands together! 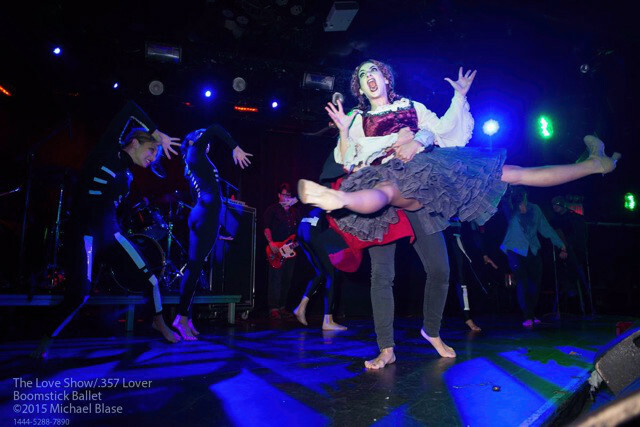 Following the success of their rock opera ballet "SEVERED: The Tragic Loves of Frankenstein's Monster", The Love Show and .357 LOVER reunite to bring you an evening of mayhem, beauty and slapstick through dance and original live music, based on films starring the Cary Grant of cult classic horror flicks, Bruce Campbell! Narrated by David F. Slone, Esq. Your tax deductible donation will help us to give Boomstick Ballet the most fully realized production possible! Donations may be made under the umbrella of Theater for the New City, a 501(c)3 not-for-profit organization. Full legal information is available on the donations page of their website. To make your tax-deductible donation, click here, and make sure to put The Love Show, Boomstick Ballet, or both in the field titled Company/Title Of Production. Thank you!